The Best Use of Colour – Ricardo Basta of E. Eichberg, “Phoenix Rising” necklace (Mandarin garnets, Paraiba tourmalines, sapphires, rubies, fire opals, tsavorite garnets and turquoise, set in 18K yellow gold). Best Use of Pearl – Avi Raz of A & Z Pearls, multicolored natural baroque freshwater-pearl necklace, with 14-karat rose, yellow and rhodium gold beads. Best Use of Platinum and Colour accolade – Deirdre Featherstone of Featherstone Designs, platinum “Wonder Woman” cuff containing aquamarines, tanzanites, blue zircons, lavender spinels, tourmalines and star-set diamonds. Best Use of a Platinum Crown prize- John Haynes of Schmitt Jewelers, platinum “Solar Blossom” ring featuring a 14.73-carat orange zircon accented with tsavorite, garnets and diamonds. Fashion Forward honour – Patrick King of Jewelsmith, 14-karat white- and rose-gold pendant featuring a 13.31-carat sapphire and diamond necklace. Editor’s Choice award – Caroline Chartouni of Caroline C, 18-karat white-gold and blue spinel ring accented with diamonds. Bridal division – Zoltan David, 22-karat and 18-karat rose-gold necklace featuring a 46.12-carat opal accented with a 3.60-carat round opal and blue sapphires. Business/Day Wear category – Designer Erica Courtney, 18-karat yellow gold “Emerald City” necklace, with a 105.99-carat pear-shaped emerald accented with diamonds. Evening Wear – Gross & Currens of David Gross Group, platinum-and-yellow-sapphire ring with diamonds. 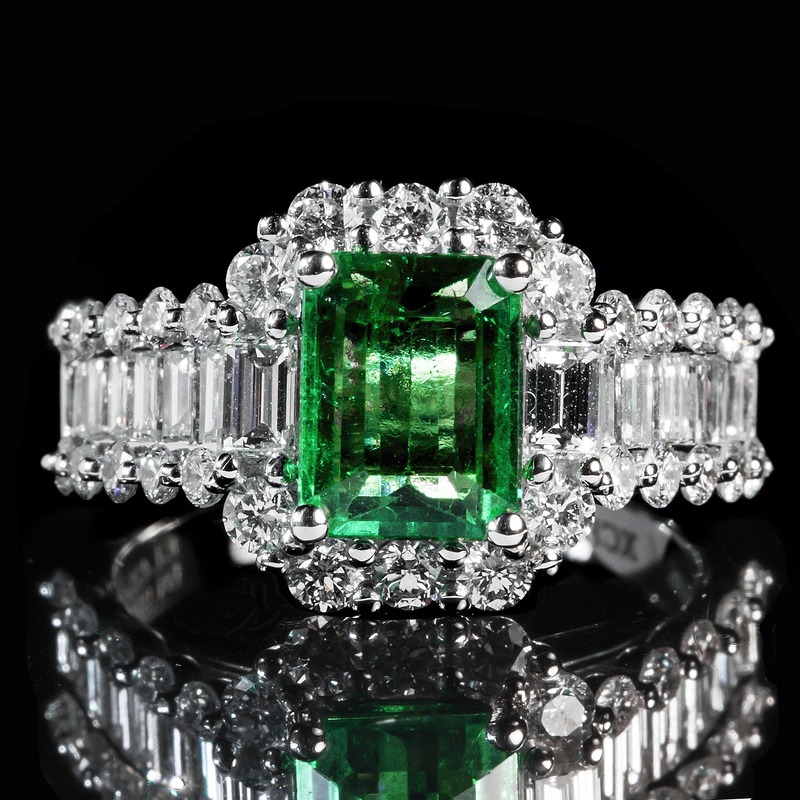 The Classical division top honor – Niveet Nagpal of Omi Prive, platinum ring featuring cuprian tourmaline, diamonds, Paraiba tourmalines and Alexandrite. Classic Gemstone category – Kenneth Blount of 100% Natural, 91.36-carat unheated yellow Ceylon sapphire. AGTA CEO Douglas Hucker noted the large number of new designers and first-time entrants, as well as a younger influx of contestants with a fresh design outlook.